Life as an Intern was pretty simple in the past. As recently as 2005 a typical internship in the British Isles and other Commonwealth countries consisted of 6 months of medicine and 6 months of surgery. You’d be working for a ‘firm‘ – part of the same team for 6 months… You would also be expected to work a horrendous number of on-call shifts, sometimes 24 hours on call with minimal recovery. To comply with patient safety concerns as well as the European Union’s Working Time Directive and other legislation, the working system for Junior Doctors has been changed to keep interns away from most after hours duties (e.g. night shifts). There has also a movement towards a shift pattern type of working week with either 8, 10, 12 or 14 hour shifts. The changes in the working hours of Junior Doctors in most developed countries has the advantage of limiting burnout and maximising educational and day time training opportunities. There are also perceived service provision benefits when out of hours ward cover is provided by more experienced practitioners. Unfortunately the disadvantage of changing working hours is a relative lack of exposure to emergencies and overall experience in the first year of working as a doctor. Some of this lack of exposure may be offset by Training in Simulation but it cannot be ignored as a potential issue. The Intern of 2013 can expect to work around 75-90 hours a fortnight depending on local regulations. In the UK an Intern will do 4 different 3 month jobs in their first year whereas in Australia Interns usually do 5 terms lasting 10 weeks in their internship. With increasing numbers of graduates there are also multiple supernumerary jobs. Interestingly, United States Interns are still expected to work much longer hours that those described above. Managing Emergencies less on your own –If you do encounter an Emergency due to “MET Call” Systems are early detection of the deteriorating patient the Intern or Resident is likely to be in secretarial or minor medical role. It is essential to think about a safer approach to prescribing. Recognition that this is a high risk activity in the day of the Junior Doctor is important. Try to avoid interruptions when you are writing drug charts by not attempting to multi-task when writing a drug chart. Only allow interruptions for true emergencies. Using Brand Names can lead to transcribing errors when the chart is rewritten or the patient is discharged – a classic case of this occurred in Australia – Colgout (Colchicine) was miscopied as Progout (Allopurinol) – the patient was on Azothioprine – this lead to a predictable drug interaction due to the reduced metabolism of Azothioprine. This is turn caused Neurtropenic Sepsis and an unfortunate fatal outcome. This drug interaction is well described in the literature. How do we get Information about the patient’s medicines? Always Repeat Uncharted Order Back in the Resus Bay. Managing your interactions with colleagues, patients and relatives are all part of personal and professional development. Quality of relationships in the workplace makes a big difference to your job satisfaction as well as your effectiveness as a practitioner. What is you major concern right now? Talking to consultants can be the most stressful part of being a Junior Doctor. 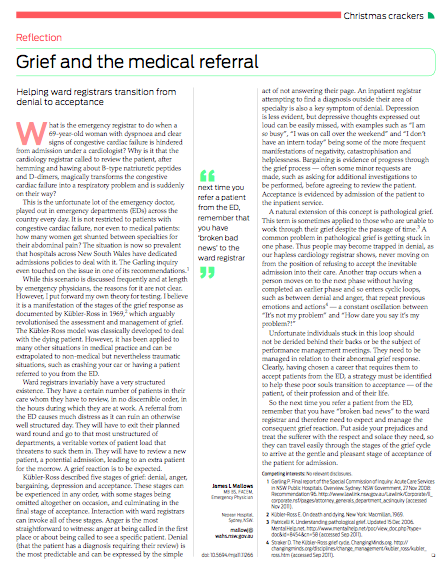 Confusingly, what is expected in Medical Assessments such as OSCEs and Long Case Exams is different from the recommended way of talking to colleagues. Handover and discussion of patients were labelled as areas of concern in The Garling Report. 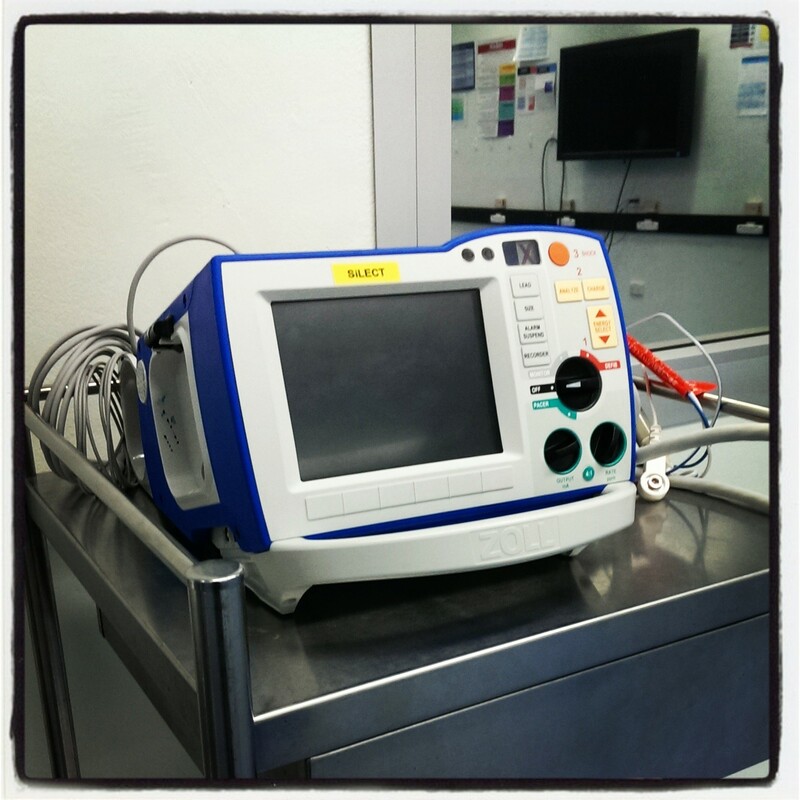 As a result, standardised methods of communication such as “ISBAR” or “ISOBAR” are often recommend as a tool for communicating with other medical staff. 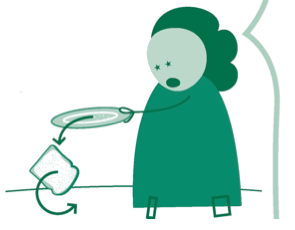 Don’t respond in a passive or rude manner (even if the consultant you are calling is coming across as rude – you may have interrupted their dinner and they are a human being so give them the benefit of the doubt). If you give something to people, they feel compelled to return the favour. We view a behaviour as more likely to be correct if others are performing in a similar manner. 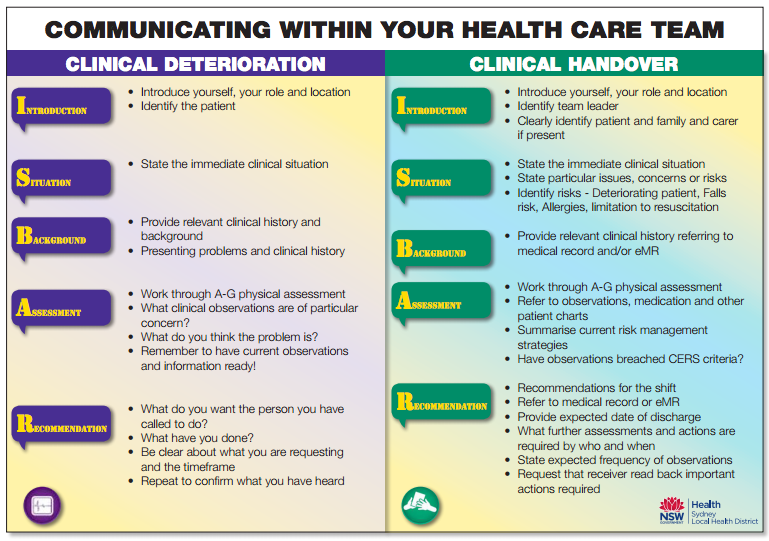 The key issues with dealing with medical crises in the hospital is to anticipate and plan your behaviour and actions. Learning from each emergency you attend is also important and the best way to do this is to debrief immediately after (hot debrief) and with reflection some time later (cold debrief). Keeping yourself relatively calm and doing the basics well should be your focus when managing a cardiac arrest. Another useful resources is the Crisis Code Course which gives practical tips on managing Emergencies from an American Emergency Medicine perspective. YOU – Are you H.A.L.T? ENVIRONMENT – Are you familiar? Noise Levels (patient, team)? Distractions? When managing an Emergency Share your goals with the team (rather than a list of tasks). Communicate using names and closed loop communication. Debrief after Difficult cases and Emergencies and reflect on what went well and what could go better. Try to share your thoughts and learning points with seniors as well as Interdisciplinary Team Members e.g. Nurses). You should never feel completely isolated at a big hospital – there’s support available. The year in the life of an intern in 2013-2014 has changed a lot compared to twenty years ago when many of our hospital specialists and GPs graduated from Medical School. The first year as a doctor has even changed significantly compared to 5 years ago when most registrars and trainees became interns. 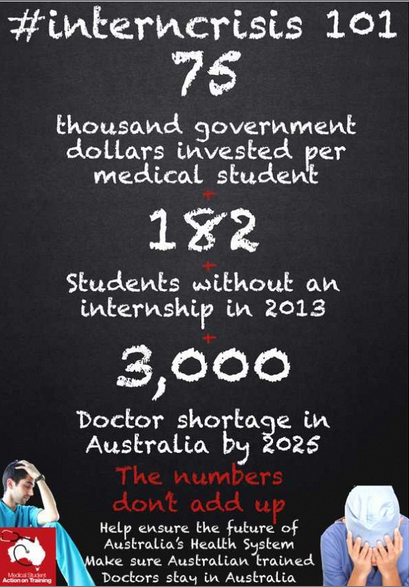 The large number of graduating medical students has increased the number of interns significantly. This pattern has occurred in Australia as well as many other developed countries. A full list of statistics for Australia can be found if you Click Here. As a result of problems with similar transitions in the UK system some Australian authors predicted there may be problems with increasing number of students and that early planning would need to occur to avoid the problems seen in the UK. Increasing the number of graduating medical students should theoretically (at least in the government’s eyes) meet the demand for doctors both in urban and rural settings. However, the financial and logistical costs of training the increasing number of interns is very high. This has lead to a shortfall of places for the increased number of medical students to work and this in turn has lead to a great deal of stress for supervisors and applicants. Some have labelled this mismatch as a crisis – and it certainly mirrors my memory of the UK system between 2005 and 2007 where there were similar stresses for medical students and junior doctors. Having noted some of the current issues with the training system that have recently taken place, it is highly likely, as was the case in my own experience of the UK system that ‘things tend to work out‘ for the individual. Even though the process is competitive, we have not tended to see the majority of medical students or junior doctors left out of desirable and fulfilling jobs in their training. Having said this, we do see and experience a lot of stress in getting to these goals. In some cases the stress of the application process has lead to doctors in training filing legal action due the perception of unfairness in the system. As long as the system is fair and has a degree of transparency hopefully we won’t see the same problems here in Australia over the next 5 years. Medicine holds an amazing number of “careers within a career” fitting a range of interests and lifestyle choices. Our main tip in choosing a career is to take advice from multiple sources including both trainees in that speciality and more importantly consultants in your chosen field of practise who are less likely to be burned out and more likely to reflect your long term career. You are likely to spend more time as a consultant than a trainee even if you change between specialties a few times or start late. We suggest inviting doctors in your area of interest to talk about themselves and their career. Most human beings won’t say no to this type of invitation. It’s simply a quick meeting where you ask them about their career and why they chose it – most people like to talk about themselves to some degree so don’t be scared to ask questions about why the consultant chose their career. If you are not sure about what you want to specialise in you should be reassured that this is common – we advice you look at multiple options and take into account where you want to be in 10 years time in terms of both career and your home life. In conclusion, being a new intern is one of the most exciting times of your life in medicine and while it required both stamina and patience it is a truly rewarding experience. Furthermore, the Junior Doctor has the opportunity to spend time with and learn from patients at the coal face of healthcare. The learning curve is steep in the first year as a doctor but the leaps forward that are taken in a short time are always apparent. The future holds ongoing and new challenges for the aspiring intern but none of these are insurmountable to the enthusiastic new doctor. Good luck with your first year as a Doctor! !